Bassoon seat strap with ring. The ring is adjustable and fits all bassoon boot caps. 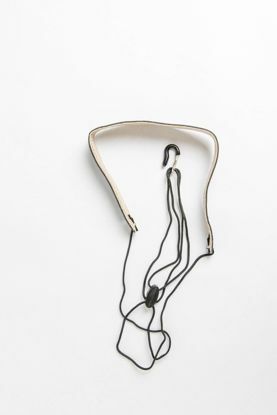 The seat strap is detachable from the ring. Made by Fox. 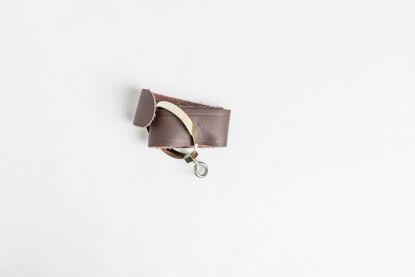 Bassoon seat strap with a spring clip, made by Fox. Fox seat strap with a hook instead of a ring. Adjustable harness, made by BG, improves weight distribution and relieves neck pressure. Choose Men's or Women's size. 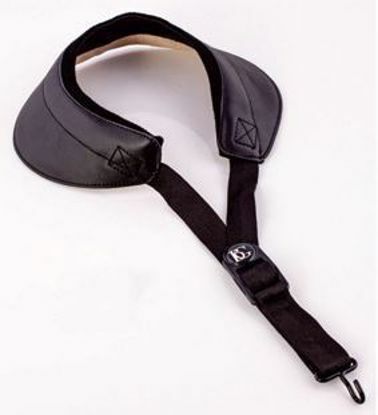 Basic bassoon neck strap made by Fox. 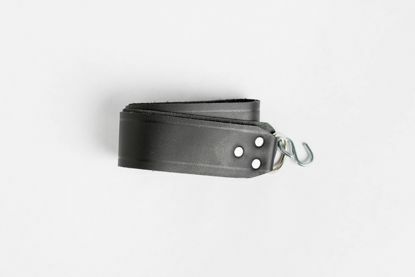 Very wide leather neck strap, to relieve pressure around neck. Made by BG.